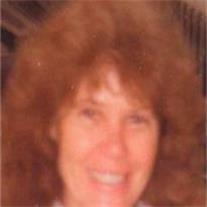 Leola Willis Reed, 77, passed away August 4, 2011 in Gilbert, AZ. She was born in Mesa, AZ on January 14, 1934 to Emanuel B. Willis and Lilly Vance Willis. She is survived by her sons Danny (Jody), Wylie (Janice), Tim and daughters Lori (John) Poulsen and Jenny (Corey) Chatwin, 20 grandchildren and 12 great-grandchildren. She was preceded in death by her husband Ned Reed and sons Wade and Ned II. Leola will be greatly missed by everyone who knew her. She loved the outdoors, gardening and spending time with her family. Visitation will be Monday, August 8, 2011 from 6-8 PM at Bunker’s Garden Chapel, 33 N. Centennial Way in Mesa. Funeral services are Tuesday August 9, 2011 at 10 AM, preceded by a visitation at 9 AM at the LDS Elliot Ward, 234 N. Greenfield Rd in Gilbert.